Contact Me and Learn More! Cannabinoids are rapidly becoming a new class of respected medicines. Their unique interaction with systems of the body and wide scope of applications make them rockstars within the pharmaceutical and nutraceutical worlds. CBD in particular has risen to popularity as a powerful compound with no psychoactive effects, making it more suitable to a wider range of people. CBD has been shown to assist with a spectrum of health conditions, achieving many of its effects due to its potent anti-inflammatory properties. The cannabinoid is now showing promise as a treatment for certain conditions that arise in the gut and digestive system. CBD has been known to deliver a variety of benefits to aiding and optimizing the natural progression of our digestive system. The digestive systems are a group of organs working together to convert food into energy and essential nutrients for the body. There are six significant functions which take place in the process of digestion; ingestion, secretion, mixing and movement, metabolism, absorption, and excretion. The first way CBD can benefit the digestive system is by stimulating appetite encouraging the body to seek more sources of energy to function more efficiently actively. CBD also delivers profound benefits to any forms of gastrointestinal distress; this includes but is not limited to visceral pain which is caused by lack of blood flow to the organs. By interacting with the natural receptors in the digestive system, CBD can deter stomach acid secretion, chronic inflammation and internal bleeding which causes nausea and vomiting. CBD also is capable of delivering regularity to the digestive cycle preventing other gastrointestinal conditions like diarrhea or constipation. By interacting with the natural receptors in the digestive system, CBD can deter stomach acid secretion, chronic inflammation and internal bleeding which causes nausea and vomiting. CBD also is capable of delivering regularity to the digestive cycle preventing other gastrointestinal conditions like diarrhea or constipation. CBD has been proven to be a solution for a variety of other digestive issues such as Crohn’s disease, cachexia, and anorexia. Crohn’s disease is the result of ulcers or lacerations within the stomach and small intestines. Cachexia and anorexia are conditions where the patient is suffering from a loss of weight, muscle atrophy, weakness and fatigue due to a decline in appetite. CBD thankfully offers a solution to these conditions by directly impacting the responsiveness of receptors in the brain and stomach which governs the process of digestion from ingestion to excretion. Few recognize the connection between the brain and the stomach, but these vital organs are closely linked as the brain uses more energy than any other part of the body. 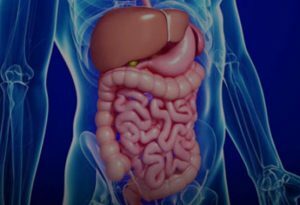 The digestive system is a very complicated and intricate system and set of organs and must be regulated with care if one wishes to benefit from the results of an optimized highly functioning body. In recent years, gut health has become an area of vast importance within the health and wellness spheres. However, this knowledge may only be reappearing, as opposed to being “discovered”. After all, it was Hippocrates who said “All disease begins in the gut”. It was previously thought that the gut fulfilled only the basic functions of digesting food to release nutrients into the body. Whilst this is an important function indeed, research is beginning to show that the gut’s physiological involvement goes much deeper. The gut is home to a large portion of what is known as the microbiome, a population of trillions of organisms that exist within and on our bodies. These organisms include bacteria, archaea, eukaryotic parasites, protozoa, and fungi. The microbiome is fundamental to health. A Harvard report states that microbiota stimulate the immune system, break down potentially toxic food compounds, and synthesise certain vitamins and amino acids such as B vitamins and vitamin K.
A healthy microbiome seems to be key to health, and possibly even happiness. Some of the microbiome is responsible for releasing neurotransmitters, communicating to neurons of the brain in this very way. Such behaviour has given rise to the term “psychobiotics” in regards to some of these organisms. Ever had that weird sensation of a gut feeling? There may be more to this than mere metaphor. Some experts are even labelling the gut the body’s “second brain”. The link between gut health and mental health may be far stronger than we can imagine. Research has even shown that patients with PTSD have lower than normal levels of some types of gut bacteria. With gut health being so important, it’s paramount to try and maintain it. Many foods and diets seem to help with this, especially probiotic and cultured foods that serve as vessels to friendly and beneficial bacteria. Cannabinoids such as CBD may also play a key part in supporting gut health. A paper published within the journal Cannabis and Cannabinoid Research states that cannabis has been used for centuries to treat a variety of disorders associated with the gastrointestinal tract. The authors add that the endocannabinoid system participates significantly in the normal physiology of gastrointestinal function, displaying involvement in motility, gut-brain-mediated fat intake and hunger signalling, inflammation and gut permeability, and dynamic interactions with gut microbiota. The endocannabinoid system is comprised of cell receptor sites found all throughout the body in areas such as the central nervous system, peripheral nervous system, and immune system. So far, two main receptor sites have been identified, known as the CB1 and CB2 receptors. These sites are also found on cells within the gut and digestive system. Dysregulation of this system may play a role within some intestinal disorders such as inflammatory bowel disease, irritable bowel syndrome, and even obesity. Cannabinoids are often used as therapeutics that target these receptor sites in conditions involving the endocannabinoid system. These compounds successfully bind or influence receptor sites due to their molecular similarity to endogenous cannabinoids, a phenomenon known as biomimicry. THC is known to bind directly to the CB1 receptors, whereas CBD is known to have an indirect effect upon both the CB1 and CB2 receptors. Some gut problems arise due to issues with gut permeability or “leaky gut”. This issue is associated with numerous autoimmune conditions and chronic health conditions such as chronic fatigue syndrome and multiple sclerosis. The gut is lined by a barrier of epithelial cells that are linked together by tight junction proteins. These tight junctions are a doorway between your gut and your bloodstream, controlling what passes between them. They allow nutrients to pass through, whilst preventing harmful substances from breaching the gut. In cases of leaky gut, tight junctions become increasingly permeable and allow access to harmful substances such as bacteria and pathogens. This can result in an inflammatory cascade. There are numerous underlying causes of leaky gut, from chronic stress and genetic predispositions to poor diet and toxin overload. An imbalance in the gut microbiota is also reported to be a cause of the condition. CBD may be the answer to decreasing the permeability at tight junctions. A paper published within the journal Advanced Research in Gastroenterology & Hepatology states that CBD has been shown to directly restore endothelial membrane permeability. Therefore, the cannabinoid may restore the epithelial integrity of tight junctions. Can Cannabis Help With Irritable Bowel Syndrome? Irritable bowel syndrome (IBS) is a condition that affects the large intestine of the digestive system, resulting in symptoms such as bloating, diarrhoea, constipation, and stomach cramps. The condition can be caused by muscle contractions in the intestine, nerve abnormalities in the digestive system, inflammation in the intestines, infection, and changes in the microflora of the gut. Symptoms of IBS can be triggered by several factors such as increased stress, certain foods, and hormonal changes. Current treatments for IBS include dietary changes, probiotics, and certain medications. However, CBD may be a great addition to this regimen. A paper published within the journal Phytotherapy Research states that evidence indicates cannabis-based products to be effective against IBS. In regards to CBD, the authors of the paper mention that the cannabinoid’s anti-inflammatory and immunomodulatory effects make it a promising therapeutic agent for treating IBS symptoms like pain and inflammation. The authors conclude CBD to possess an extraordinary range of beneficial effects that may slow the course of IBS and ameliorate symptoms. CBD may reduce intestinal inflammation severity through the control of what is known as the neuro-immune axis. Enteric glial cells (EGC) mediate both acute and chronic inflammation in the gut. A 2011 paper states that EGC proliferate and release neurotrophins, growth factors, and proinflammatory cytokines which might enhance the immune response, demonstrating a vital link between the nervous and immune systems in the gut. ECG are responsible for maintaining the integrity of the gut mucosa and play an important role in gut immunity. However, these cells may also generate inflammation. CBD has been shown to control inflammatory response and ECG activation. Fresh fruit and chamomile CBD cream…YUMMY! These statements have not been evaluated by the Food and Drug Administration. These products are not intended to diagnose, treat, cure or prevent any disease. TruHemp assumes no responsibility for the improper use of and self-diagnosis and/or treatment using these products. Our products should not be confused with prescription medicine and they should not be used as a substitute for medically supervised therapy. If you suspect you suffer from clinical deficiencies, consult a licensed, qualified medical doctor. You must be at least 18 years old to visit our website and make product purchases. Before taking our products, it’s wise to check with your physician or medical doctor. It is especially important for people who are: pregnant, chronically ill, elderly, under 18, taking prescription or over the counter medicines. None of the information on our website is intended to be an enticement to purchase and may not be construed as medical advice or instruction. The use of any of our products for any reason, other than to increase general health & wellness, is neither, implied nor advocated by TruHemp.